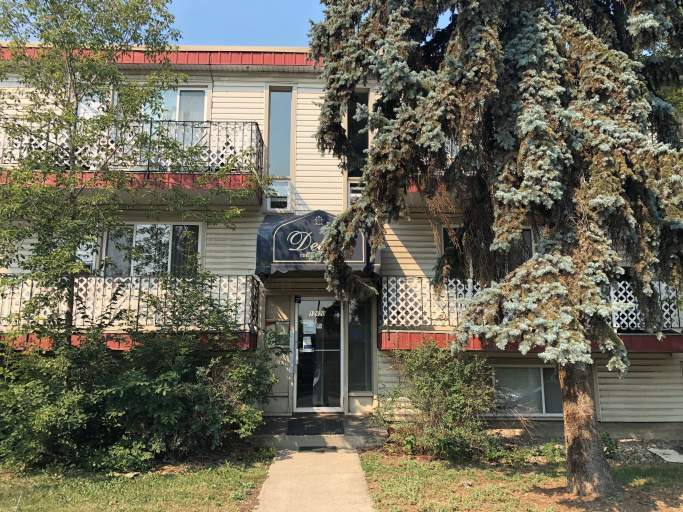 Nestled in the quiet Eastwood community, this building offers easy to the Yellowhead Highway and 82st Street, making any commute a breeze! Nearby you will find NAIT, Kingsway Mall, Borden Park and Northlands!! An extremely convenient location for all! Plus, with Londonderry Mall and tons of shopping along Fort Road all within minutes you'll never have to travel too far for anything! The third-floor unit in this well-kept walk up building offers laminate flooring in the living room, linoleum in the kitchen and carpet flooring in the bedrooms along with tons of natural light thanks to its large windows and large balcony of the living room! Inside the unit you will find a functional front entry with plenty of closet space, continue in down the hall and find a massive living room with laminate flooring that opens into a large dining area complete with a ceiling fan. Plenty of space to entertain or simply relax! Off the dining room is a spacious kitchen with tons of cupboard space and a full-size fridge and stove. Down the hallway are two spacious bedrooms with carpet flooring and large closets along with a full bathroom complete with a tub shower. Included in the rent are heat and water utilities, meaning you only pay for power! Plus, an outdoor parking stall is included in the rent as well! The building offers smart card laundry facilities on the main floor.